Roey's Landing Gear from Mutiny Bikes on Vimeo. Lotek - Joe And Dan Cox from Joe Cox on Vimeo. 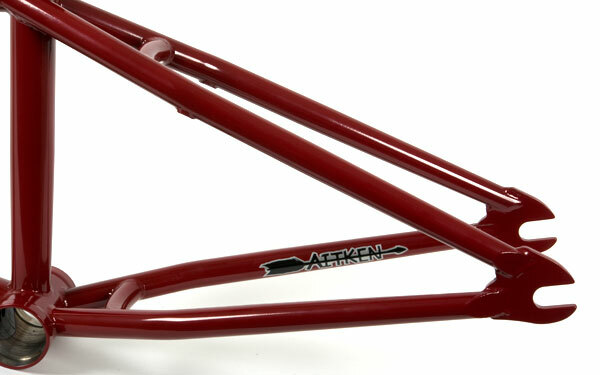 The Cult Bad Boy frame is hand made in the USA by FBM with Cult Classic tubing. It features a CNC machined integrated headtube, top and downtube gussets, externally butted seattube with integrated seat clamp, Mid BB shell, tapered seatstays with removable U-brake mounts, curved seat and chain stay bridges and 5mm thick heat-treated dropouts. Note: The raw finish is bare steel - no clear coat. dlx leftovers from josephrobert on Vimeo. Hull (Ings) Session from Mutiny Bikes on Vimeo. Mike wanted the S4 to be as simple and classic looking as possible while using every new development in materials and workmanship available to improve on the S3.5. We've been working on new material for a Down Tube for the last six months so once that was finished and tested we were ready to go. 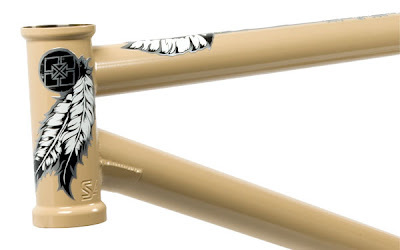 The end result is a clean, classic frame that's strong and still less than 5 pounds. Maja, March 2010 from TeamZEN on Vimeo.